The sheer size and depth of the housing market in Melbourne has challenged traditional thinking on the layout and styling of the kitchen. Once dominated by the more ornamental styling of the traditional kitchen, the new boom of buyers and renovators have taken influence from a variety of new areas. For many of the new buyers in the market today, this is what they are after. Good, solid gloss finish offers more than just a gleaming surface for your kitchen. It provides an ease of cleaning and wiping down, along with fewer surface areas that would provide places of left over foodstuffs. The reflective gloss helps to spread light throughout your kitchen, as an added bonus, leading to a brighter and more welcoming atmosphere. With the first point, the second is a given: despite the desire for gloss, new homeowners aren’t looking for a finish that will wear off within a matter of years. They seek quality finishes that can stand up to usage, and wear: a diamond-hard finish preserves the gleam of your new Melbourne kitchen for longer, and keeps it sound. Meals, once somewhat more simple, have lately become less so: everyone has at least one or two dishes that serve as their personal speciality, and sometimes these dishes can require more than your basic pot and pan. For these reasons, storage has become more important than ever. But this comes with a caveat: it must be tempered with a respect for the styling. Built-in, flat-handle drawers dominate the wish lists, as they appear smaller and less intrusive, and don’t detract from the modernist décor. Of course, these are broad rules. Each home, and each homeowner, sees their ideal in a different light. 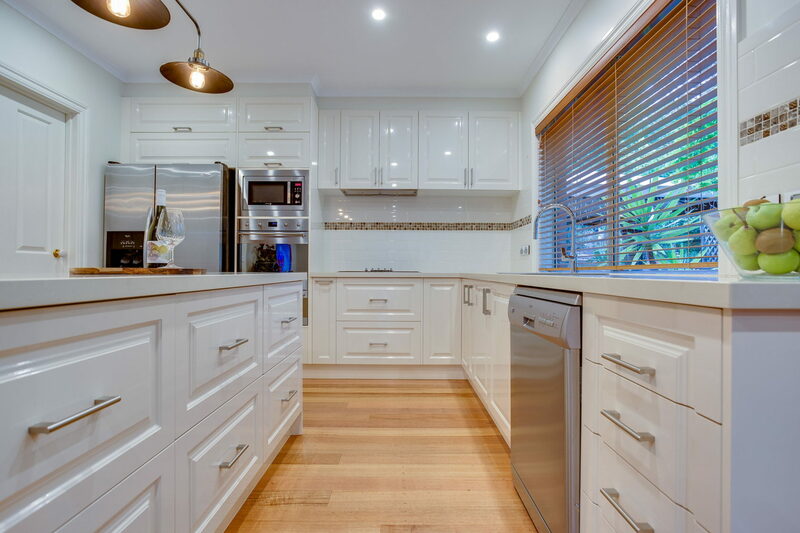 At Zesta Kitchens, we feel we have been able to incorporate the needs of Melbourne under one roof. Pay us a visit and see for yourself!